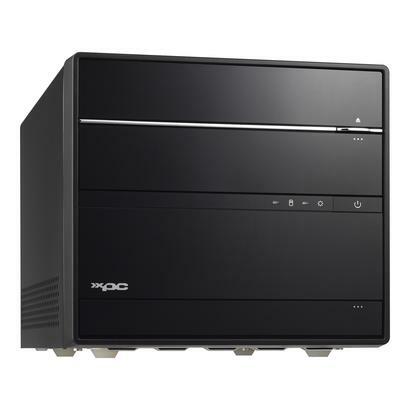 The Shuttle XPC Barebone SH170R6 packs the 6th Generation of Intel Core desktop processors for LGA1151 socket into an elegant, fresh case design. 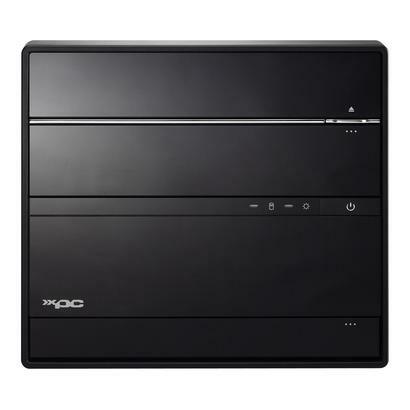 The aluminium case cover with a black-brushed surface has a volume of 14 litre which is just a third of the volume of a standard Midi tower. Despite its small dimensions, it is brimming with features. 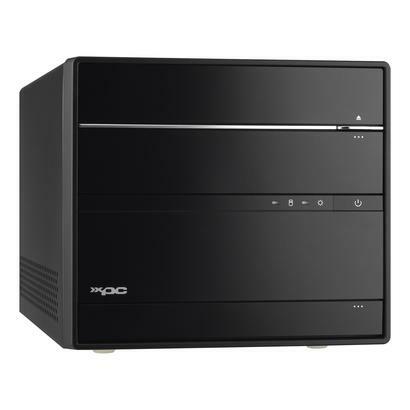 Set up a top-performer with the latest LGA1151 "Skylake" processor, a dual-slot PCI Express graphics card, M.2-SSD, two 6 TB hard disks in RAID mode and up to 64 GB of DDR4 memory, plus Blu-ray drive. However, also cost-effective configurations without dedicated graphics cards are possible, since Intel's Skylake generation offers an amazing inbuilt CPU and graphics performance with low energy consumption. Dual-slot graphic cards? No problem! 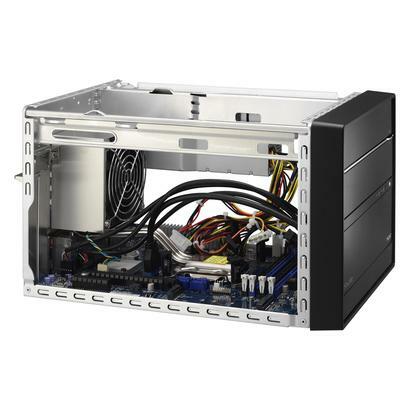 The creative engineers at Shuttle have worked out how to fit large and incredibly powerful dual-slot graphics cards into this compact PC. 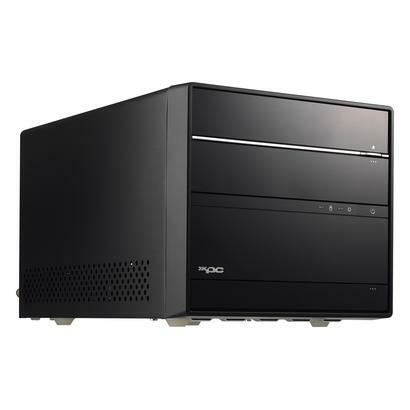 The special dimensions of the cards and the unusual fan size cause no problems at all in this Mini-PC. 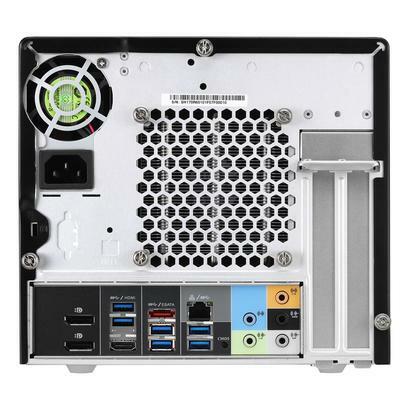 Shuttle's patented Heatpipe Cooling technology with variable speed control automatically ensures maximum system stability and quiet operation in this aluminium Shuttle Mini-PC. Instead of swirling around the chassis, as is the case with conventional solutions, the warm air is specifically transferred out of the chassis. In this model the ports and drives are hidden behind moveable panels that offer ideal protection from dust and ensure a clean, harmonious look. Not everyone needs to be able to see just what your Mini-PC can do. A fast X16-PCI-E slot enables the use of modern 3D graphics cards and other expansion cards that have to transfer huge amounts of data at ultra-rapid speeds. With this interface external hard drives can reach the same speeds as inbuilt versions. Just give it a try. 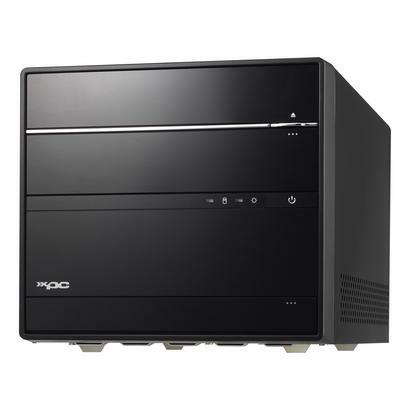 All the components of the highly integrated mainboard of this PC are fitted with modern solid capacitors, which offer six times the lifespan of normal capacitors. 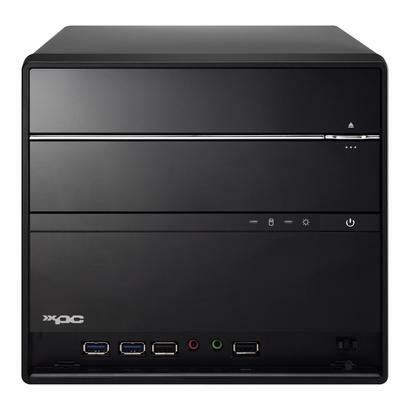 The use of aluminium in Mini-PCs has significant advantages. Aluminium has an ideal balance between weight and strength, does not rust and is not sensitive to magnetism. Its thermal conductivity is four times higher than steel. 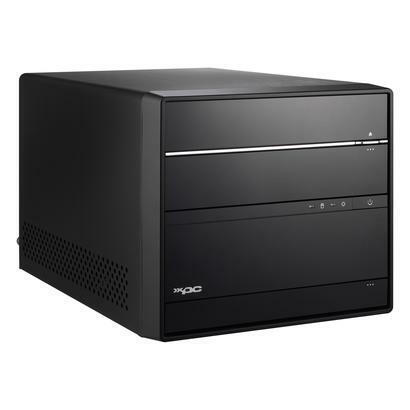 All in all, it's a perfect material for Mini-PCs. The Smart Fan system promises low operating noise with its large, slowly rotating fans, which generate a very large airflow and have automatic variable speed control. You can never have enough of those versatile USB ports. 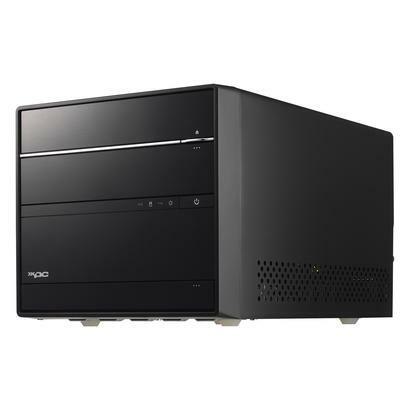 This Shuttle Mini-PC offers 10 ports, with further ports for internal expansions located on the mainboard. 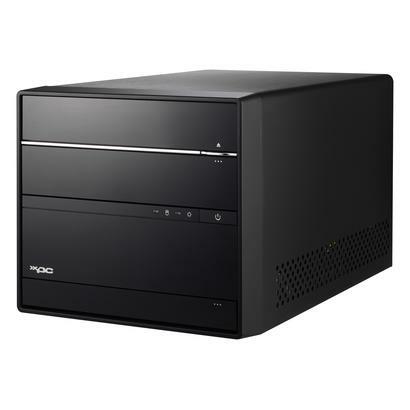 This Mini-PC chassis provides plenty of space for two 3.5" HDDs that provide many Terabytes of memory. The generous ventilation between the drives ensures there is no build-up of heat. The superior high-definition sound not only gives that perfect cinema feeling at home, it also offers optimal sound quality for your Skype VOIP telephone conferencing. Conveniently located ports ensure ultimate user friendliness.